The body for Champions. Suited for all seasons and occasions and oh so comforable. Choose from a large variety of colors, fabrics, and styles. Shown here in 2nd skin EXTRA-FINE, Coral. 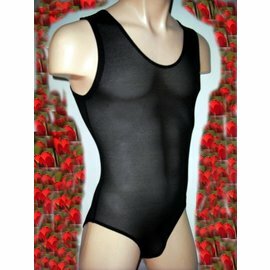 Similar color 2nd skin FINE, Coral or not sheer: Watermelon, Microfiber Comfort. 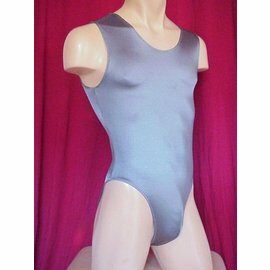 Please note that the neck opening might have to be produced larger than shown in this picture, depending on your measurements, when you choose the crotch option without buttons because in this case the neck opening will have to be large enough for you to fit through when putting the body suit on or taking it off. If you do not want the size of the neck opening to increase, please choose the version with buttoned crotch.